I've mentioned before how carried away I get at the farmers market, especially when it comes to gorgeous fruit. So on my counter (that only needs to feed two people, mind you) spring's strawberry surplus (make jam!) has given way to a summer bounty of peaches, plums and apricots. 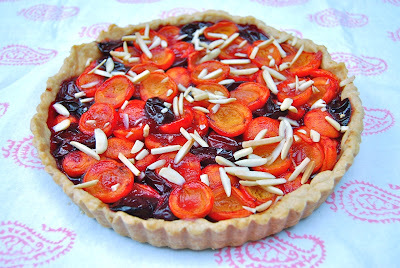 I picked up a pint each of Toigo Orchards mini plums and apricots at the Penn Quarter FreshFarm Market last week and turned them into this simple tart. Preheat the oven to 350 degrees. 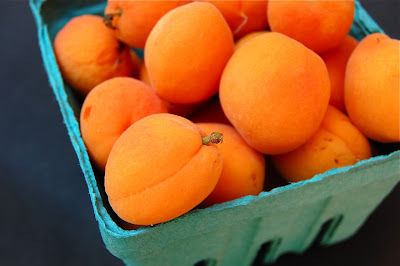 In a small bowl, combine the plums, apricots, sugar, lemon juice and corn starch and stir to combine. Let sit for 20-30 minutes. Shape the dough into the tart pan. Using a fork, poke holes into the bottom of the crust. Place a large sheet of parchment over the dough and fill with pie weights or dried beans. Bake the crust for 15 minutes. Remove parchment and pie weights and bake another 15 minutes until crust begins to brown. 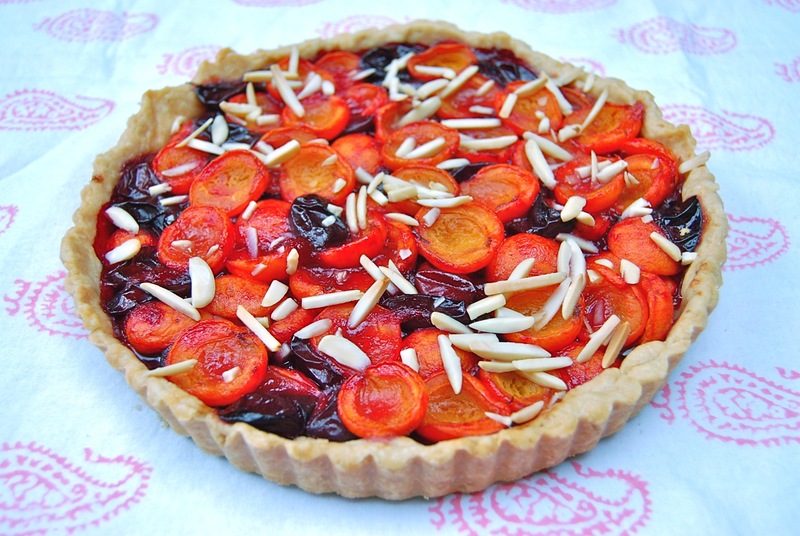 Spoon the plum and apricot mix and juices into the baked tart shell. Sprinkle almonds over the top. Bake 27-30 minutes until the juices bubble. Looks so gorgeous, can only imagine how it tasted!